Before you know it, bikes will be on the road again after being in the garage from the long winter. If you’re thinking of buying a motorcycle or you have one already then you need motorcycle insurance. At The Insurance Store of CT we offer the best coverage in order to keep you and others protected. In order to register your motorcycle in the state of CT you need to have enough coverage. If you want to find out more information over CT’s state motorcycle coverage and requirements call us at 860-645-1960. 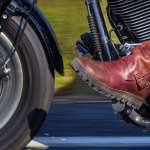 The Insurance Store of Connecticut serves Manchester CT, East Hartford CT, Tolland CT Glastonbury CT and all surrounding areas for motorcycle insurance needs. Lower your auto insurance rates- Manchester, Bolton, and East Hartford CT.
You might be surprised to find out that you are overpaying for your auto insurance. Many people are so use to paying the same amount for auto insurance every month that it has become a routine and you could actually be paying a lot more than you actually need to. At the Insurance Store of CT we will help you pick out the right auto insurance that suits all of your needs. Sheri from the Insurance Store of CT can help explain more about different auto insurances that are available for you. Call Sheri Today and find out why the Insurance Store of CT is your best choice for a local agent. 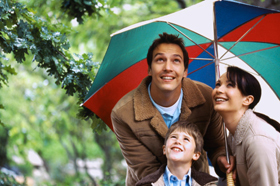 Why is life insurance important to have? 1. To Protect Your Family and Loved Ones If people depend on your financial support for their livelihood, then life insurance is very important, because it replaces your income when you die. 2. To Leave An Inheritance Even if you don’t have other assets to pass to your family, you can create an inheritance by buying a life insurance policy and naming them as beneficiaries. 3. To Pay Off Debts and Other Expenses In addition to providing income to pay for everyday living expenses, your family needs insurance to cover any debts, like the mortgage, credit cards and car loans. Contact Sheri at The Insurance Store of Connecticut to answer your questions and protect your family with life insurance. The Insurance Store of Connecticut 303 East Center St, Manchester, CT 06040. Request A Quote. Opening a new business is a big deal, as a business owner you know there are specific risks to your type of business, and every type of business has different coverage needs. Work with The Insurance Store of Connecticut to manage your risks so you can focus on long term business growth and success. We save you time and money by doing comparison shopping so you can tend to your new endeavors. We quote your policy with up to 9 different companies so that you can be confident that you are getting the best rate. We offer professional customer service to hundreds of local CT businesses. We help save your business money so you can enjoy the fruits of your labor. Contact The Insurance Store of Connecticut for your CT business insurance needs. The Insurance Store of Connecticut 303 East Center St. Manchester, CT 06040. Thinking of getting an RV or already own one? Protect your motor home and keep your road trips on track by protecting your investment with proper coverage. The Insurance Store of Connecticut helps protect your RV by offering many insurance coverage options. We offer travel/trailer insurance, fifth wheel insurance, stationary and seasonal mobile home insurance as well. Keep reading below about some of the different types of RVs there are. Type A: Big on size and big on luxury. They are perfect for short trips or if you want to live in them full time. You have all of the things you would find at home like a washer and dryer, king size bed, huge flat screen TVs and DVD players, satellite systems, full bathrooms, complete kitchens and much more. It’s really comfortable and provides a smooth and stable ride and is relatively easy to drive and easy to setup at a campground. Type B: They are smaller than Class A but very easy to drive. They usually have a refrigerator, sink, hot water, air conditioning and heater and comfortable sleeping facilities. Many have showers and a toilet. Type C: They can be as luxurious as Class A motorhomes, but are much smaller.They are built on a van or truck chassis and many models come with slide-outs to make them even more spacious. They have a lot of sleeping areas, so they’re perfect for families. Contact The Insurance Store of Connecticut for your next quote. Bass boats are typically used for freshwater fishing. They have high horsepower outboards and trolling motors, they are more on the expensive side. They are designed for use in shallow waters of large shallow bays, estuaries or near shore. Bay boats are 18’–24′ in length and are fiberglass because they are used in salt or brackish waters. A bowrider has an open bow area designed for extra seats forward of the helm. Bowriders are usually 17’–30′. They are considered a family boat and can be used for fishing and water sports. This would be a good choice for those new to boating. We offer boat and yacht insurance. It’s important to protect your boat and crew from harm. If you’re fishing or sailing The Insurance store of Connecticut has your insurance needs covered. The Insurance Store of Connecticut offers dependable coverage from Insurance experts that care. Thinking of buying a motorcycle or already own one? Well one thing is for sure they aren’t as safe as cars so here’s a few tips to keep you safe on the road. First off you might want to invest in buying the right gear. Do not wear shorts and/ or flip flops while riding a motorcycle. You should buy leather clothing, the reason for this is that it is strong enough to protect your skin if you were ever to fall off and hit the road and even if you were to be hit by a rock or bugs while riding. Another thing you can do is to wear shoes with a rugged sole. Shoes that have smooth soles make it easy for you to slip off. Also another thing that is important for you to do is to ride within your skills. Just because someone is riding faster than you are it doesn’t mean you should. The otherr person could have more experience riding motorcycles, it takes time to grow skills. The most important thing is to be protected by having motorcycle insurance, just in case anything were to happen. The Insurance Store of Connecticut will help you find the motorcycle insurance that is the best fit for you. Contact us at 860-645-1960 for more information. This Coupe has 2 doors and seats 4. It is also available in 4 trims, ranging from the Premium (M6) to the Series Blue (M6). The Premium M6 has a standard 2.0L, 4-cylinder, engine that is able to do 22-mpg in the city and 30-mpg on the highway. The transmission is standard. The Series Blue M6 has a standard 2.0L, 4-cylinder, engine that is able to do 22-mpg in the city and 30-mpg on the highway. The transmission is also standard. This compact car has 4 doors and is a 6-speed manual transmission with overdrive, also a 4-wheel anti-lock brakes (ABS) with driveline traction control, electronic stability, and power mirrors. This compact car has 4 doors and is a 6-speed manual transmission with overdrive, 4-wheel anti-lock brakes (ABS) with driveline traction control, 16″ steel wheels, electronic stability, power windows, AM/FM/Satellite-prep in-dash mounted single CD MP3 decoder, with 4 speakers. If you’re thinking of buying a new car come on over to the Insurance Store of CT and hear about our different auto insurance coverages. We are located in Manchester, CT. The Insurance Store of CT in Manchester CT in the center of town is your local premier auto insurance provider. We provide insurance for all of East Hartford CT, Manchester CT, Vernon CT. At The Insurance Store of CT we are able to shop around to provide you with exceptional customer service and great insurance rates. We always recommend the best coverage for your needs, and will explain all of your insurance options. At The Insurance Store of CT we provide you as many options possible and can shop your products and rates as much as you want us too. Often times people become complacent with their auto insurance coverage, if you haven’t reevaluated your rates recently call The Insurance Store of Connecticut. We may determine that you need more protection, or reveal that you are overpaying for your current policy. Don’t wait until it’s too late! The Insurance Store of Connecticut 860-645-1960. Another Referral Raffle Winner ! This month raffle referral winner! 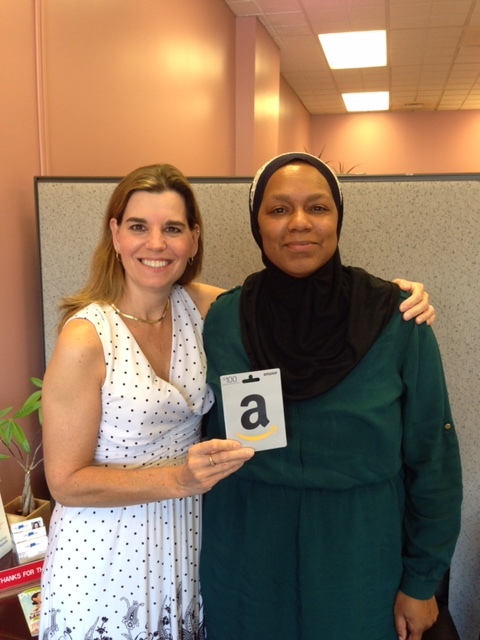 Kareema just won a $100.00 Amazon Gift Card. Let’s keep the referral going. and you can be the next winner. These days you can never be too prepared, but at the same time many of us do not have the extra income to spend on large insurance premiums for over-sized policies. That’s where the value of having a dedicated insurance professional pays. Instead of haphazardly picking and choosing coverage over the phone or at your computer, The Insurance Store of CT advises you on what is best for you, your family and your wallet. If you are uncertain with your insurance coverage, call The Insurance Store of CT. The Insurance Store of CT is located in Manchester CT, and serves all surrounding CT towns including East Hartford CT, Vernon CT and Hartford CT.
Life insurance ranks at the top of the list of things you know you should buy but get no enjoyment from. The Insurance Store of CT, Manchester, CT, has been serving residents of Connecticut with insurance for over 3 decades. We guarantee the lowest rates, saving you time and money. Whether it be Term Life Insurance or Permanent Life Insurance we know this is a critical part of your financial budget. It’s a pact between us, if you will. We want to help you protect your family and loved ones from your untimely future. With the right planning and understanding, life insurance can fit into your plan. We are experts in our field and can help you make a knowledgable based decision regarding your life. We will ask you questions and protect you and your loved ones. Call us today to get a quote. We look forward to serving you in any insurance need. The Insurance Store of CT serving ALL of Connecticut, will not only find you the lowest rate possible, they’ll take care of you as if you were family. Their agents serving 20+ years are there to answer all your questions and walk you thru the years during your policies. The 10 most important things you should know before purchasing Life Insurance. Decide How Much Coverage You Need. Assess Your Current Life Insurance Policy. Compare The Different Kinds Of Insurance Policies. Assess Your Financial Ability To Pay Premiums. Have An Agent At The Insurance Store Of CT Help You Evaluate The Future Of Your Policy. Review Your Policy With Your Agent Every Few Years. Looking for a one stop, locally owned business that can meet ALL your insurance needs? The Insurance Store of CT located in Manchester serves ALL of CT.
Trust-Value-Service-Satisfaction, always providing you with personalized and professional customer service. That little something extra to make you and the ones you love feel covered! The Insurance Store of CT is honored to be your choice provider for all of your life insurance needs. There are many options to choose from when you are shopping your life insurance policy. It is important to protect all of your assets and ultimately leave behind enough security for your loved ones. At The Insurance Store of CT we will help you understand what your options are, and what plans may best suit you and your families needs. We know that life insurance shopping can be a cumbersome task, we will take the work out of shopping multiple companies by performing your search for you. We will also work hard to find you the best rate for your desired level of coverage. We are located in Manchester CT and serve residents of Manchester CT, Glastonbury CT, South Windsor CT and all surrounding areas. Please call The Insurance Store of CT for all of your Life Insurance questions.